If you absolutely have to eat on the go, use these picks to manage the damage. Courtney Ferreira has a masters degree in nutrition and is a registered dietitian in Baltimore, Maryland. In an ideal world we would either meal prep for breakfast or have enough time in the morning to cook and eat. In reality, mornings usually consist of snoozed alarms and hustling to get out the door. Despite our best efforts, there are going to be days where breakfast is either skipped or we have to rely on a quick-grab option. Include a source of carbohydrates. Carb picks at breakfast should contain plenty of fiber to prevent a blood sugar (aka energy!) crash mid-morning. Examples include whole grains like oats and whole wheat bread, or fruit. Pass on the fruit juice; the high sugar load will put you on a blood sugar roller-coaster and set you up for a day of fatigue. Don’t skip protein. The body cannot use more than 25-30 g of protein in an eating event (though this may vary after exercise). Limiting protein to lunch and dinner is not enough. 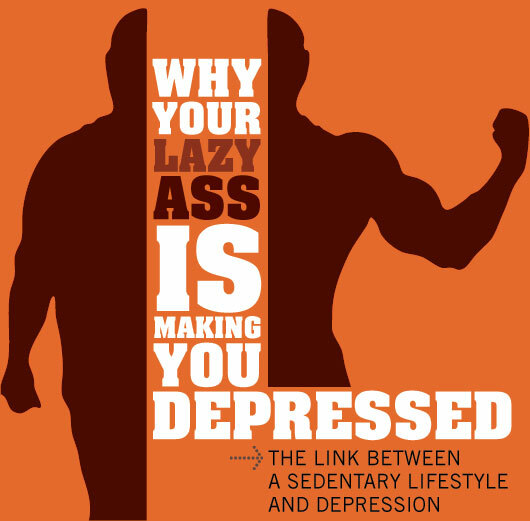 Whether you work out consistently or not your body is still regenerating throughout the day. Spread protein throughout the day to support that. Eggs are a common morning protein pick but breakfast meat or a quality yogurt counts too. Or think outside of the box and enjoy a leftover meat like chicken. Include some fat. What is the key to keeping your eyes open during that 10 o’clock meeting? Stable blood sugar. Fat can help you maintain that. When you eat too many carbohydrates at breakfast we get a burst of energy and then it comes down quickly. By including fat with breakfast the carbohydrates digest and are absorbed slower, so the blood sugar rise is lessened. Use these principles to create the most energizing breakfast. Cooking at home is certainly the goal to aim for – for instance you might enjoy an omelet with avocado and a slice of toast. But let’s face it, that may not always happen. If you are going to grab a quick breakfast from a fast-food place you can use the tips above to make the best pick that does the least harm to your health. Here are how the tips can be applied to five popular on-the-go breakfast places. This flatbread option has the best nutrient balance of all the options. 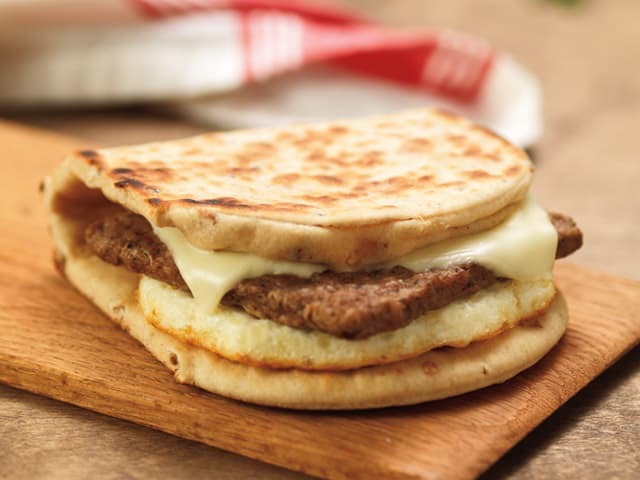 The flatbread provides carbs, the sausage and egg provide protein and the cheese provides fat. 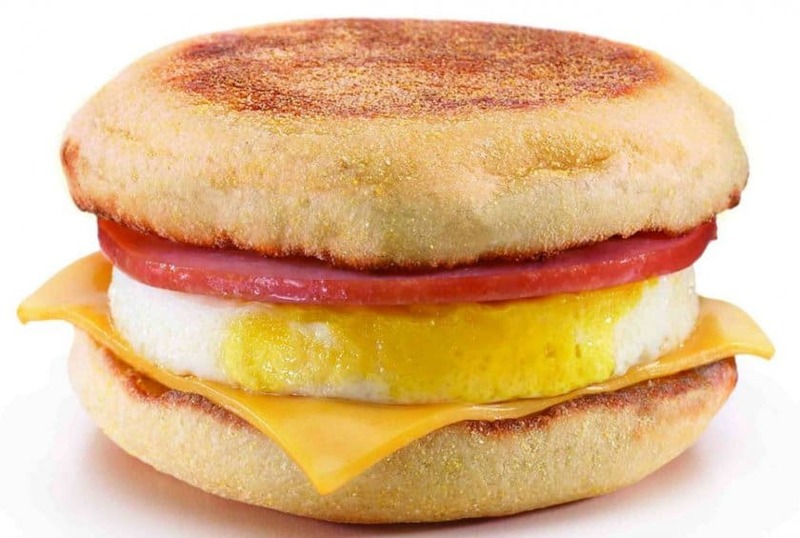 The Ham, Egg, and Cheese English muffin is also a good pick. Skip the donut unless you have a long walk ahead of you and keep in mind that a bagel has carbohydrates equivalent to four slices of bread. The Wake-Up wraps seem promising, but may be too light and not provide enough fuel to keep you going all morning. 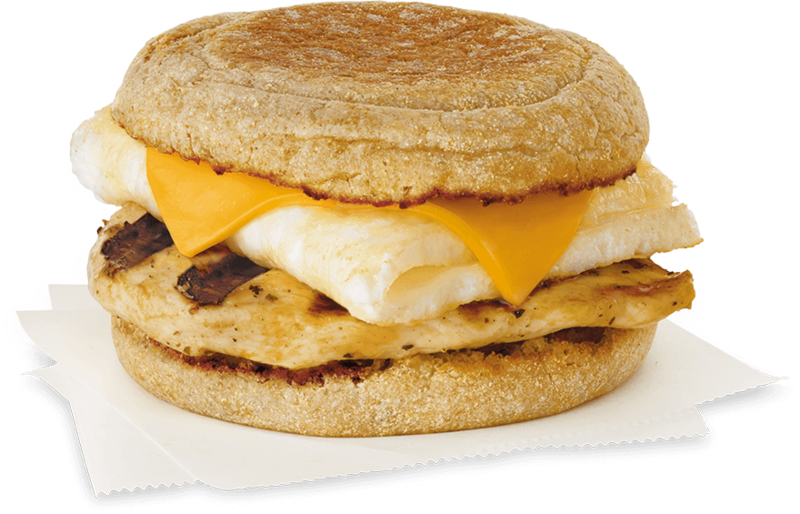 An Egg McMuffin includes an english muffin for carbohydrates, cheese and yolk for fat, and an egg and Canadian bacon for protein. Skip the egg whites; the extra fat from the yolk is good for you! For a larger meal add a side of apple slices. Don’t be fooled by the oatmeal or fruit and yogurt parfait. They may appear to be “healthier” options but they are carbohydrate bombs. They have some nutritional benefit, but they are missing out adequate protein and fat which we need to stay full and focused all morning. Plain egg and cheese or with sausage or bacon are the best picks. The protein, fat, and carbs are similar to the biscuit sandwiches but the biscuits have almost double the amount of sodium. While adding salt to our food is fine when we cook at home, we should try to limit the excess sodium that is found in many eateries. Watch out: the Egg-Normous burrito contains all of the sodium recommended for the entire day and as much carbohydrates as 5 slices of bread. Starbucks has plenty of options but these sous vide egg bites are by far the winner (yeah, they're not technically a sandwich but they're much healthier!) They come with two bites per order (feel free to get two orders!). You might also try their protein boxes such as the egg, cheese and grape selection. 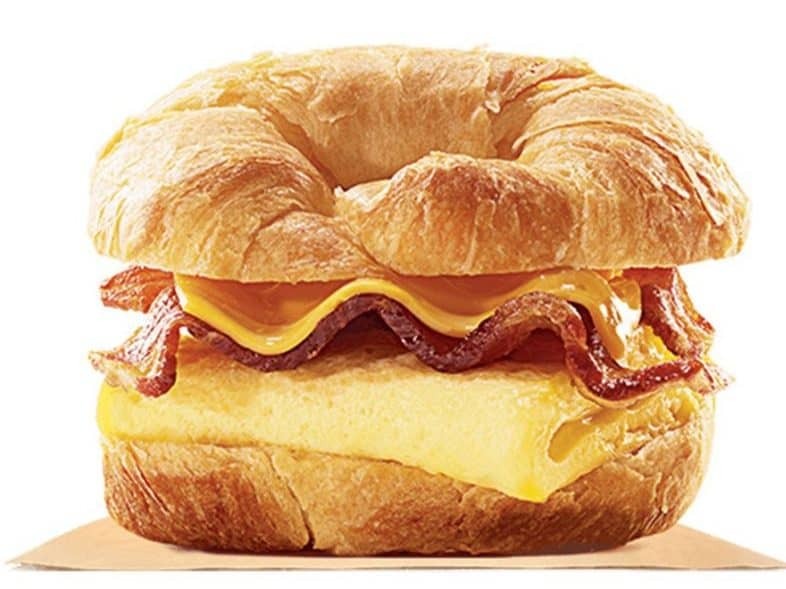 If you’re in the mood for a sandwich go for the Ham and Cheese Croissant or the Bacon, Gouda and Egg Breakfast Sandwich. Tip: If you’re also getting a flavored coffee drink ask for just one pump of syrup – even the best breakfast can’t prevent the blood sugar swings that come after a sugary latte. This sandwich has a balanced nutrient profile and leaves plenty of room for a fruit side. If you’re craving their breaded chicken opt for the hash brown scramble. Remember, eating at home is best for your health (and your wallet), but when you’re in a rush and need to grab something on-the-go you do have healthier options like those listed above. When in doubt, remember the principles of including a carbohydrate, protein, and fat and let that guide you towards making the best choice. Have a different place you love to grab breakfast? What are your go-to picks and why? You either go with the ‘folded egg’ or the ‘egg puck’. Pick your poison! Ha, ha, ha! No need to be rude. I happened to find this useful for travel/out on the road and didn’t pack any snacks. And, intermittent fasting doesn’t need to be in the morning. Just out of curiosity…are you going based on what you actually do (skip breakfast daily) or by what the article is saying? The one reason that article fails to disprove is that students perform better and that’s the only one I care about. When people say “breakfast is the most important meal”, this is what I think they mean. I also think the author is taking some liberty trying to mitigate this reason, since there are studies that don’t involve school children. I can only speak for myself, but I feel better and think more clearly after eating any meal, but particularly breakfast, since I’m usually foggy during the morning. It just makes sense that putting energy into your body will help you perform better. I skipped breakfast for much of my life, but now I feel weak if I don’t eat it and that’s a good thing, imo. You’re over-interpreting the article. It’s saying there is a lack of excellent evidence either way, not that ‘there is no most important meal’. The “most important” meal of the day is the first one you eat, whether it be at 5AM or 5PM. The body, like a cars engine only works best when you start and “run” it with the correct type of fuel. Everyone’s taste and body needs do differ to some extent because we are in the end “humans”. Though both articles may have there valid points to nutrition and assisting you at staying healthy, I have read too many lies from the NYTimes over my 50+ years to give them any credit as to looking out for your best interest. Regarding the Dunkin Wake-Up Wrap: Exactly why I get two of those. They’re light AF but by putting in some meat in them (I prefer a combo of a turkey sausage and either ham or bacon), I’m good to go! Plus, they got a deal where I can pay $3 for 2 wraps (one is usually $1.80). 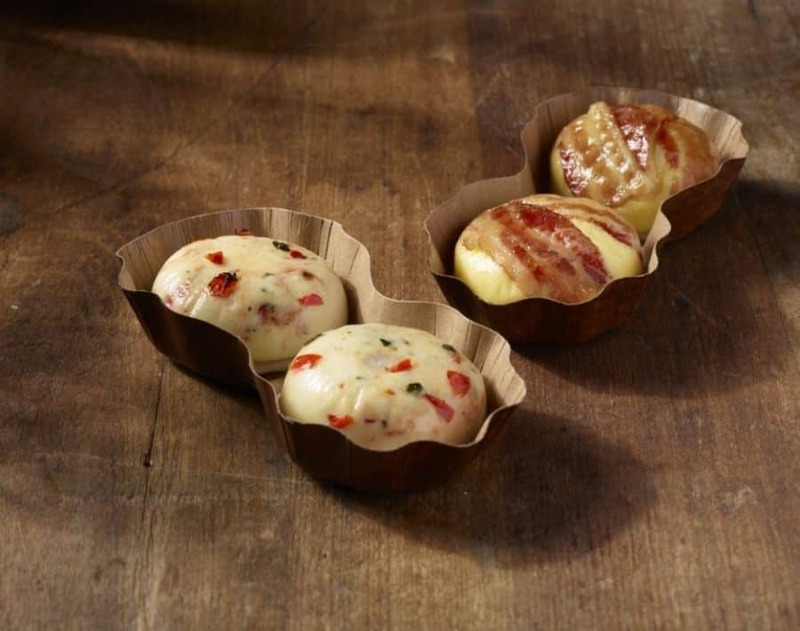 As for those Starbucks Sous Vide Egg Bites, I may not be all too crazy for Starbucks, but these egg bites do a good job in staving off hunger. Hi Joshua! You and your link are right in asserting different bodies don’t absorb nutrients the same. Our protein absorption comment was referencing, but needs further clarification (thank you), in regards to muscle synthesis specifically, greater consumption of protein beyond 30g does not encourage more muscle synthesis. I agree that protein has important roles outside of muscle synthesis. Good write up! Like that we’re branching out. An easy how-to for pocket billiards.